Paul Turley, DC Pleads Guilty In Uwaydah Fraud Case In Downtown LA. Lead Defense Counsel, Benjamin Gluck, Says Good-Bye. 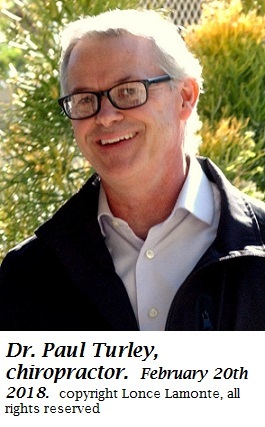 Paul Turley, DC, the second in line to Dr. Munir Uwaydah in the criminal organization of Munir Uwaydah, pleaded guilty yesterday, December 3rd 2018, to conspiracy, capping, insurance fraud, and mayhem. This deal with the Los Angeles District Attorney will drop the mayhem count at Turley’s sentencing if he fulfills the terms of the agreement. But the other three counts of conspiracy, unlawful patient referral, and insurance fraud will remain intact as convicted charges along with a four-year state prison term if all agreement terms are fulfilled. Paul Turley, D.C., was not next in command to Dr. Uwaydah but was purely next in line. This is because Uwaydah controlled and ruled everything. Turley was merely a puppet. Nobody had any command but Uwaydah; all the defendants and uncharged co-conspirators were pawns. Uwaydah, Turley, and their bevy of thieves raped the California workers’ compensation system out of a few hundred million dollars or more from 2005 to the present. It is reported by some investigators, who demand to remain anonymous due to their ongoing investigations, that Uwaydah is still operating under different medical business names and continues to defraud the California workers’ compensation system. Paul Turley’s sentence of four years in essence allows him to walk free from here forward. He spent 25 months in jail from September 2015 to October of 2017, therefore he has 50 months of credit. The state of California allows double credit for time served. And since four years is 48 months, he’s done. This morning at 10:15 am, in the downtown Los Angeles court room of Judge Larry Fidler, the magistrate acknowledged the guilty plea and playfully said good-bye to Paul Turley’s former defense attorney, Benjamin Gluck. Turley did not use Gluck as his lawyer for the plea agreement. The agreement was signed by a new Turley lawyer named Louis Sepe. Judge Larry Fidler: It’s been nice knowing you, Mr. Gluck. Your client’s out of the case. Benjamin Gluck: It’s been nice knowing you. Judge Larry Fidler: If you’re asking to be relieved, I’ll relieve you. So, you are relieved. Do you want to stick around for some reason? Gluck soon explained that there were some tricky issues on where some specific material needs to go. Benjamin Gluck: It may require some guidance from the court. The judge acknowledged that, and further mentioned that Paul Turley has new counsel and that the Bird Marella firm, that provided Gluck, Nicole Van Dyk, and Gabriela Rivera for Turley’s defense, no longer has a “horse in the race”. Benjamin Gluck: Yes, I think we will ride off into the sunset. Judge Fidler: We have to rethink this hearing. The judge meant the Evidentiary Hearing, which was totally spearheaded by Benjamin Gluck. It whirled around Gluck’s assertion that Paul Turley’s attorney-client confidentiality privilege had been violated. Thus, with Gluck gone the balloon has popped. But Judge Fidler acknowledged a basic assertion that came out of Paul Turley’s proffer. Turley had given 1500 pages worth of proffer sessions to the deputy district attorneys since October 2018. Judge Larry Fidler: “Everything was set up to defraud and to break the law.” I don’t think this hearing can go on. Defense attorney for defendant Tatiana Arnold, Gary Kaufman, spoke out that his client has an issue separate from Turley. Winston McKesson, attorney for defendant physician assistant Peter Nelson, spoke out that his client has a separate privilege issue. So, these two lawyers indicate they are interested in keeping this Evidentiary Hearing going. The judge acknowledged that all he had was the plea agreement and had not yet been able to read the 1500 page proffer. But he must have read a brief summary, as he quoted Paul Turley once again. So, the Head of the Los Angeles District Attorney Organized Crime Unit, John Nantroup, did not testify. He got out of it. Judge Fidler threw out a final joke that Benjamin Gluck will be holding an auction for lead defense counsel on this case. Court then adjourned. The next proceedings on this case, apart from the time waivers, have been scheduled for March 15th 2019.